Notes: Memorial Tablet located in St. Michael and All Angels Church, The Royal Marines School of Music, (Formerly the Depot, Royal Marines) Deal, Kent. Unveiled by Major General H. E. Blumburg, CB, Adjutant General, Royal Marines, Sunday, 17 December, 1922. 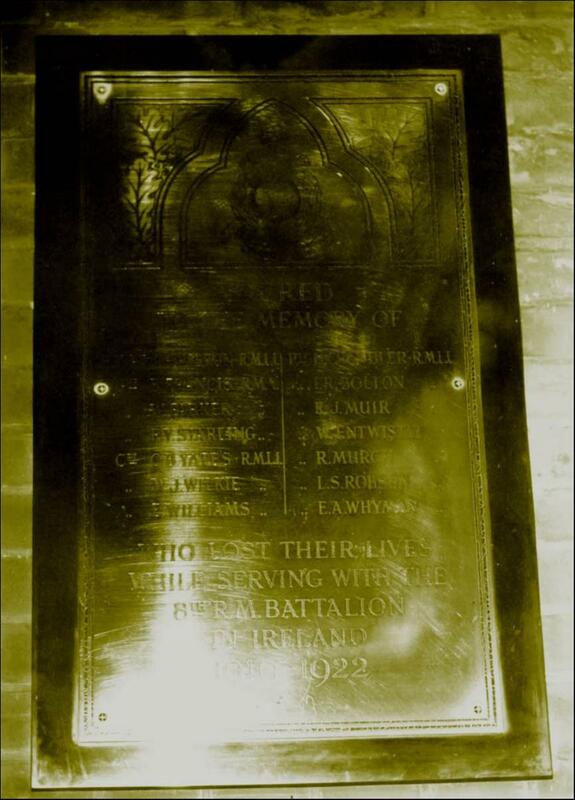 Inscription: Dedicated to those who gave their lives while serving with the 8th Battalion, Royal Marines, in Ireland 1919-1922.